I walked on the seaside road this afternoon as usual. 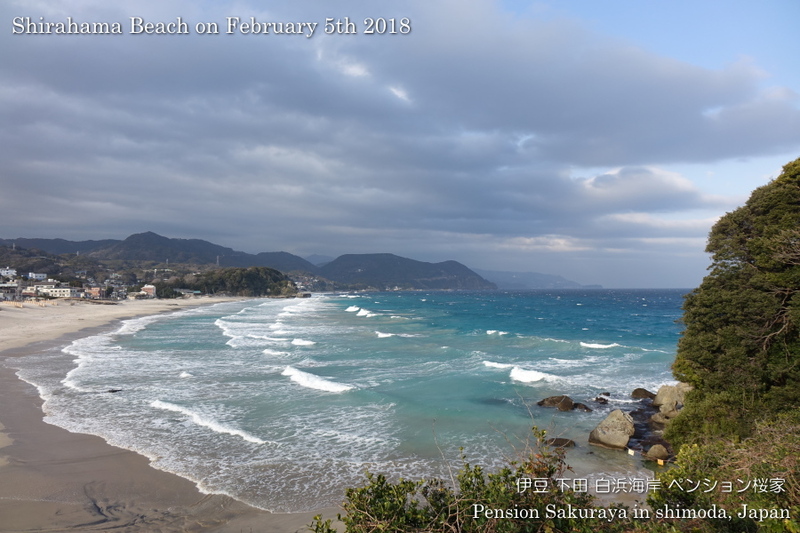 It was very warm yesterday, but it became cold by the north wind today. 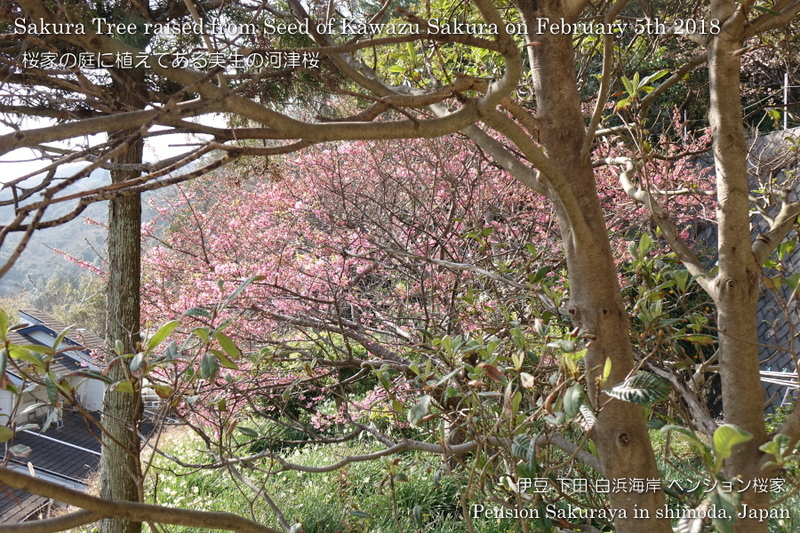 By the way there are some Sakura trees raised from seed of Kawazu Sakura in our field, and this is one of them which has pale pink petals. 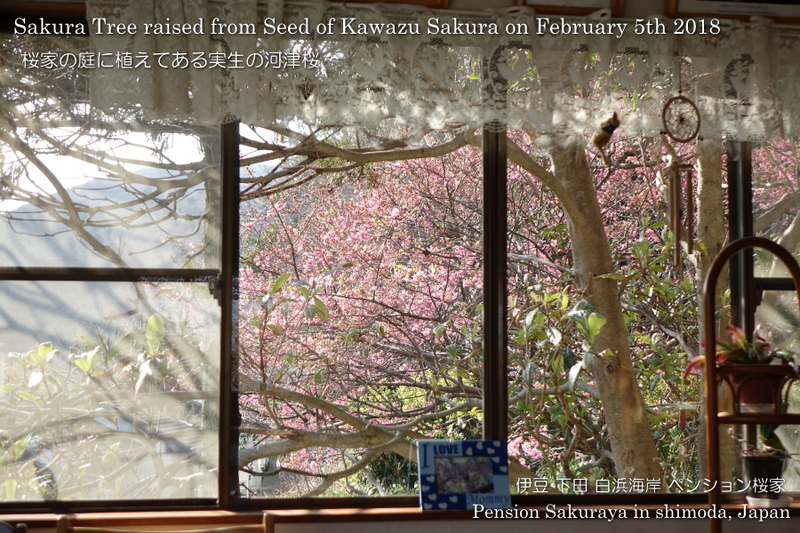 And the Sakura tree which has deep pink petals and which we can see through the window of the dining room is now blooming more than 50%. 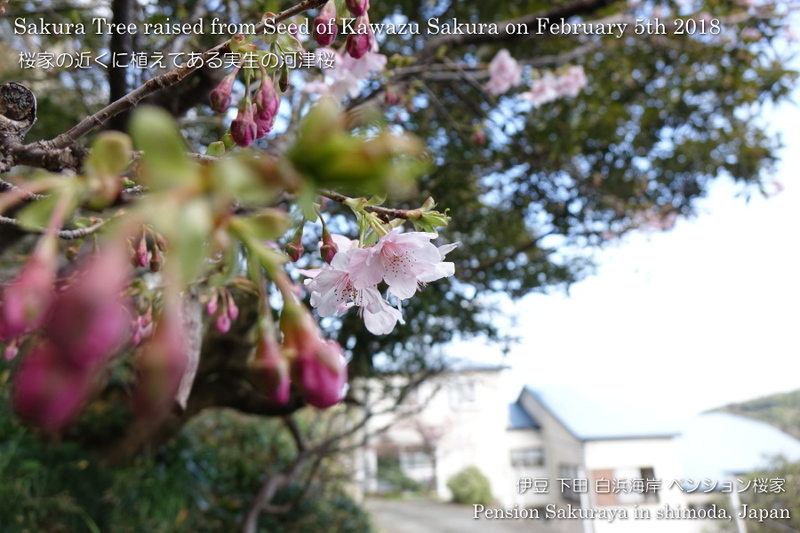 This entry was posted in beach, Flower, Pension Sakuraya on 2019年2月5日 by izusakuraya.